Dragon Slot is an online casino game which has a high fantasy theme. As you can probably tell from the title, the game’s storyline is based primarily on dragon characters, and all the graphics reflect the fantasy theme, with medieval castles and knights very much to the fore. Indeed, the game actually features artwork by noted Argentine fantasy artist Ciruelo. The game comes from the stable of games developer Leander, and features five reels with 20 paylines. 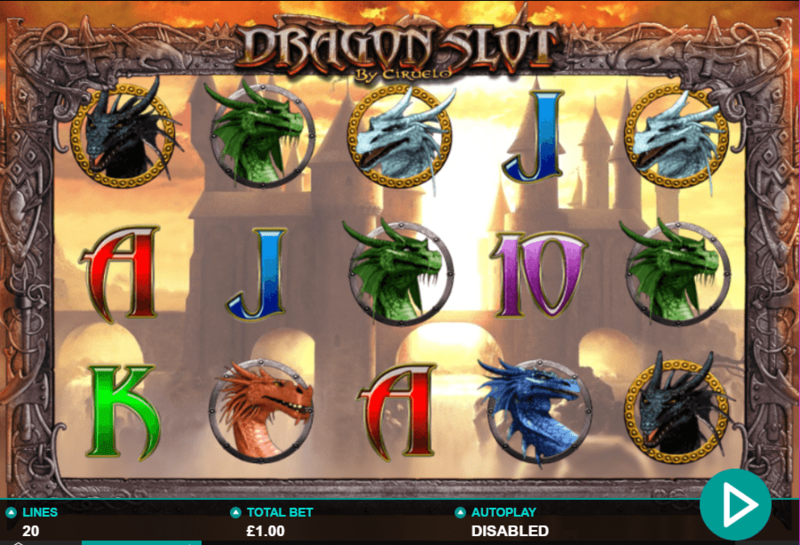 As stated earlier, the graphics of this game reflect the fantasy theme, and dragons are the main images used on the paylines. It is a good idea to look out for the black dragon, as this is the highest paying standard symbol, worth 2500 coins if you manage to spin five of them into a payline. The yellow dragon is a wild symbol. The game’s storyline involves you steering the white dragon character in his fight against the red dragon. One of the game’s most appealing features is that there are two great bonus features. If the dragon bonus symbol spins in on reels two, three and four then you’ll trigger the Dragon Fight Bonus. This is where the white dragon will fight on your behalf against the red dragon. If the white dragon wins, you get a cash bonus. If you spin in the knight symbol on reels one, three or five, then you trigger the Free Spins bonus feature. To win, you must choose a dragon from to fight the knight. 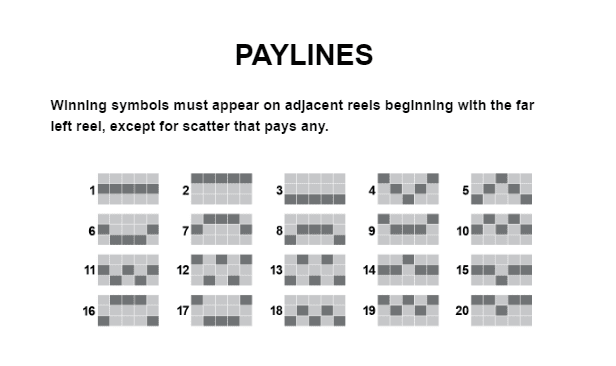 You are then given a choice of question marks to choose from to determine your bonus. The green dragon offers you four picks, and up to 15 free spins with a 4x multiplier. Play today at SlotsBaby.com. Leander is an independent gaming company, which was founded by Ramiro Atucha and Marcelo Blanco. You may well have seen their lion’s head logo when you are playing at your favourite online casino. Innovative concepts and high-quality graphics are hallmarks of this gaming studio, and they provide games in more than 30 languages. Leander is also known for being something of a specialist when it comes to producing games for Latino markets. The heavy metal band Megdeth also played a part in Leander’s story, giving them permission to use the band’s name in their first branded title. Leander has offices in both the Bahamas and in Buenos Aries, the capital city of Argentina. Dragon slot is a really fun game, especially if you like losing yourself in the worlds of swords and sorcery. If you enjoy movies like Lord of the Rings and like to play a bit of World of Warcraft, this is the type of slots online game you will enjoy, even if you do not normally play fruit machines. Look out for this great Leander game in your favourite online UK casino, Slotsbaby.com.